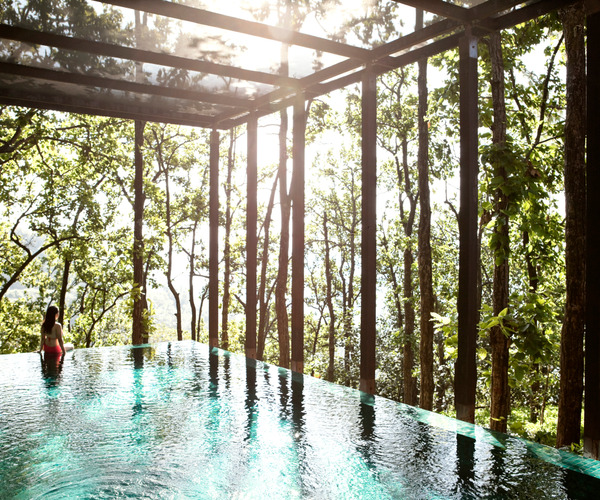 Enveloped by vibrant green foliage and valleys, brisk mountain air, and refreshing spring waters, the 100-acre Ananda in the Himalayas, once the residential palace of a maharajah, promotes a holistic approach to healing the mind, body, and spirit through its philosophy of combining Ayurveda, Vedanta, and yoga. Bordered by the River Ganges, overlooking the town of Rishikesh, the elegant destination spa in the Himalaya foothills is a winner of multiple Spafinder and Condé Nast Traveler awards, including “Best Destination Spa, India,” in Condé Nast’s 2014 Readers’ Travel Awards. Traditional Indian practices balance with international-inspired wellness experiences and healthy organic cuisine; as well, signature programs encompass Ayurvedic Rejuvenation, Detox, Yogic Detox, Weight Management, and Stress Management. Ananda’s wellness programs include accommodations, airport transfer, all meals, spa treatments, yoga and meditation sessions, and personal consultations; programs vary from five to 14 nights and are tailor-made for individual health goals. The 25,000-square-foot Ananda Spa has 24 treatment rooms and four consultation rooms; additional amenities include hydrotherapy facilities, a steam room, a sauna, and a Kama, or couple's suite. The spa's East-meets-West approach blends ancient Ayurvedic techniques (60% of the extensive spa menu is based on Ayurvedic principles) with modern Western therapies. Personal guides consult and customize programs aimed at helping guests de-stress, detoxify, and lose weight. The spa is bathed in burgundy and saffron colors with soft music, calming fragrances, and scenic landscape views adding to the serene ambiance. Guests can unwind with the signature Abhyanga treatment, which begins with a prayer, followed by a foot bath and a four-hands full-body massage, or opt for the spa's signature Ananda Fusion treatment, a combination of Thai, reflexology, deep-tissue, Tibetan, and Swedish massage techniques tailored toward each guest's specific needs. In addition to its spa amenities, the spa complex houses a fitness center that comes complete with LifeCycle equipment. Guests can get fit with stretching and Fitness on the Ball classes, or unwind with one of the 14 weekly yoga sessions. Guests can also participate in Vedanta, inspired by ancient Hindu philosophy, which includes weekly group or individual meditation gatherings. The spa complex has an outdoor heated lap pool as well. Golfers can hit the links on the six-hole golf course, while thrill-seekers can test their skills by white water rafting and kayaking on the Ganges; jogging or trekking through the area terrain; or setting off on a safari into the Rajaji and Corbett National Parks, home to tigers, leopards, and elephants. Those looking to explore can embark on spiritual pilgrimages to ancient temples in the nearby holy cities of Rishikesh and Haridwar. 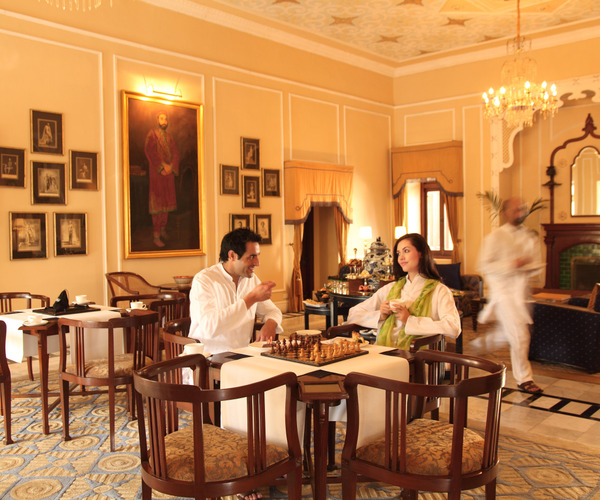 There are 70 deluxe rooms and suites, as well as three villas, all of which offer views of the city of Rishikesh, the Ganges Valley, or the Viceregal Palace. Rooms come complete with personal yoga mats, and all accommodations have wireless Internet. Standard rooms are elegant and simple, with wooden floors, minimal furnishings, and marble bathrooms, while one- and two-bedroom villas feature private pools, decks, saunas, and living rooms. Suites have private gardens; the opulent Presidential Viceregal Suite, elaborately decorated with antique fabrics, gold-painted artifacts, and ornate pillars, also has a wraparound terrace, an outdoor rooftop Jacuzzi, and a telescope. Ananda’s restaurant serves gourmet wellness cuisine. The daily-changing wellness menu is based on Ayurvedic principles and is customized based on the individual dosha, or body type of each guest. Dishes focus on natural, balanced, and fresh ingredients.